The Happy Trails as the title denotes meant to have a living place enriched with all worldly comfort, home like ambiance, and necessary contentment. This is the latest offering from Homecraft Infra, a reasonably priced housing entity of ATS Infrastructure Limited. In todays fast paced life it is hard to maintain your personal space and moments of happiness. With Happy Trails ATS Group made easy to access alluring spacious residences at a very reasonable amount of investment. Here at sector 10 Noida Extension, this project brings you precisely crafted, luxurious 2 BHK, 3 BHK apartments with cutting edge design, homely interior, and sizeable terrace. Affordable housing often leads to compromise on quality, luxuries, and other crucial aspects but ATS Happy Trails does not reflect the same. Fortunately, this project is well-equipped with all essential traits of high-end urban housing right from the location, property, facilities, and environment. Extraordinary designing, superior floor plans, area layout, lively ambiance, and world lass amenities are the hallmark of every Happy Trails home. Far away from the noise of big cities, nestled in the pristine green atmosphere of Greater Noida West, it is already popular among homebuyers. The project complex facilitated by a thick tree cover, gated perimeter, triple layer security, commercial areas, convenient shopping arcade. ATS Homes are renowned for its unmatched core attributes comprising the well-thought-out development, advanced architecture, top notch facilities, green surroundings, and a package of suitable amenities. The Noida Extension address is in close proximity to Sports city, sector 32, and sector 18 metro stations. Smoothly accessibility through NH 24 and Noida Greater Noida Expressway ensures fast connectivity to all prominent places across the region. Proposed Noida to Greater Noida metro route will put it on the map of Indias top transport network. Amenities include an elite clubhouse, modern health, and recreation facilities, swimming pool with changing rooms, multi-utility hall, jogging track, indoor and outdoor gaming infrastructure. Why this is your best choicest destination for investment. There are numerous advantages of becoming a happy ATS Homeowner. ATS Happy Trails home prices start from mere 40+ lacs onwards which is very economical regarding the standard of offered property. Due to the prime location, best place value, connectivity, and superb features It is a great destination to invest. Potential homebuyers can not get any better deal at proposed price-structure and location. Customer friendly payment plans, best after-sale service with cosmopolitan homes creates a recipe for the smart investment. If you are in pursuit of such matchless deals visit, invest and be a proud owner of ATS Happy Trail Home. Sector 10 Greater Noida West 920 - 1160 Sq.ft. 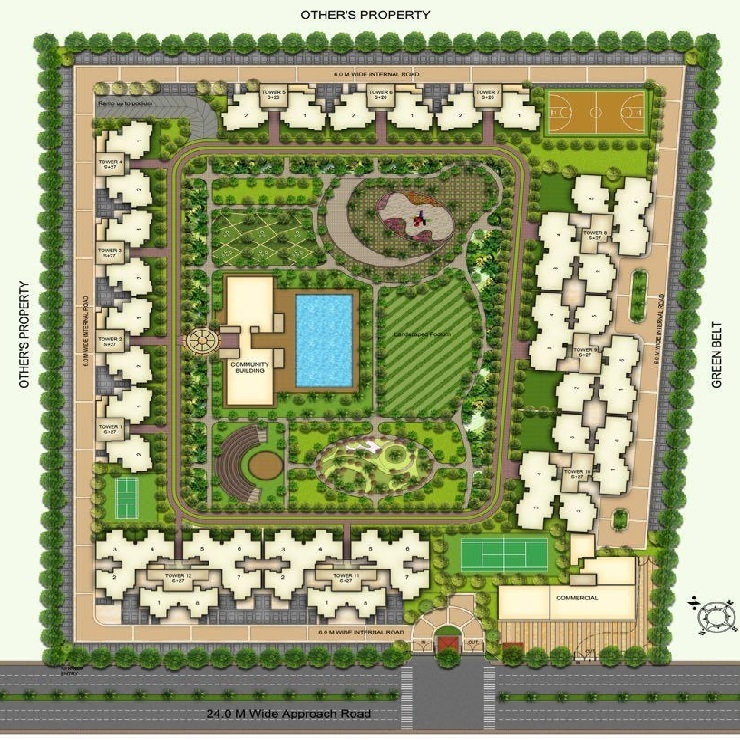 Sector 10 Greater Noida West 850 - 1125 Sq.ft. Sector 10 Greater Noida West 1027 - 1400 Sq.ft. Sector 10 Greater Noida West 890 - 1695 Sq.ft.